I've been working really hard on a class I'm taking this summer this past week. It's been sapping up all my time and so it was nice to receive a couple packages in the mail that brightened my week. 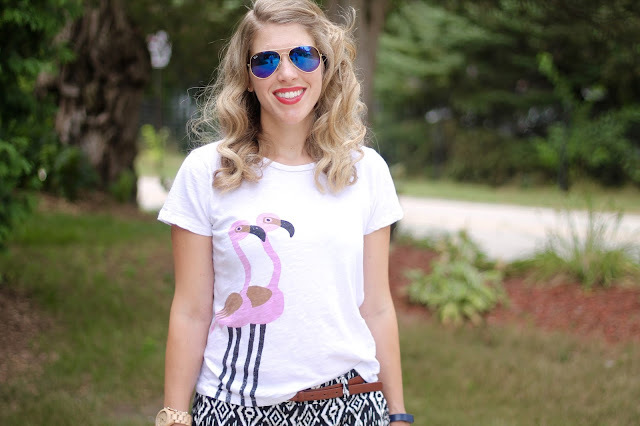 The first was a package from Sammydress with this cute flamingo tee. My daughter has been loving a book about a flamingo lately so she is into all the flamingo things. At only $10 it's definitely a steal. I got a medium which was a little big at first, but did shrink a bit in the wash and dryer to the perfect size. Depending on how you wash/dry you may want to size up to accommodate for shrinkage. Now I have my eye on this octopus one that is on clearance for under $7! Can you go wrong with a striped octopus? The answer is no. This adorable flamingo phone case is from Caseapp. You can see my first collaboration post here. Get 20% off any item with code IDODECLAIRE until 8/18/16! How cute is this watermelon print one?! This is the tough case and I really like how sturdy it is. I love their personalization options! I also have a fun SheIn giveaway for you all! Enter below for a chance to win a $30 credit to shop at SheIn! And if want to do some shopping in the meantime, use code Aug40 for 40% off. Good luck! This tee is the cutest! Your flamingo top is adorable! Thank you for the giveaway! I have that flamingo phone case and love it! My daughter loves flamingos right now, too. That flamingo tee looks great with those b/w patterned shorts! I am glad it shrunk a little in the wash, it definitely fits great now! So cute ! and it works really well with the printed shorts. Oh my gosh, I love flamingos too and I adore that tee! It looks great with those printed shorts! love the cute flamingo top! I am impressed with all of the items I got from Sammydress too!! By the way, is the Shein giveaway open internationally? I'd love to join in!! So perfect with those printed shorts! And that striped octopus, so cute! 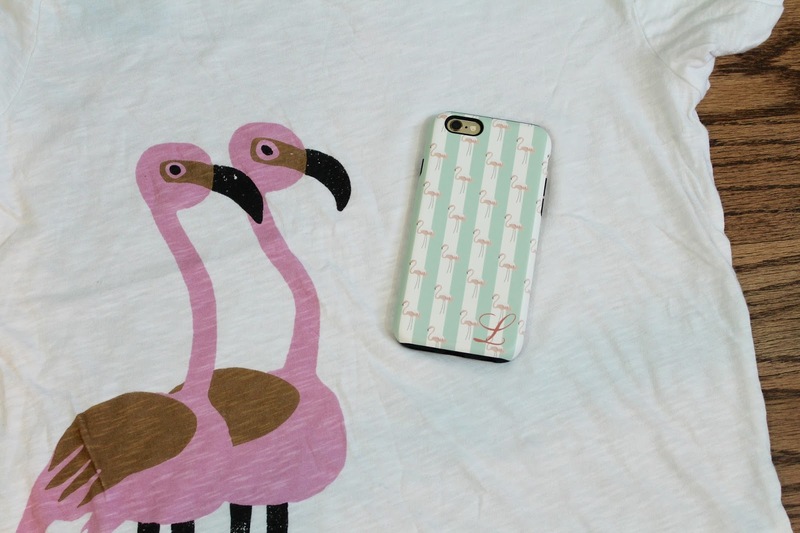 That flamingo top is adorable--and I love how it coordinates with your cute phone case too! :) Love this look with the printed shorts. And yay for packages in the mail, especially on a busy day! I love the top, and the case is too cute!! This is the cutest tee!!!! Such a fun tee and so perfect with your patterned shorts! It's amazing what a package arriving in the mail can do to brighten your day. Flamingos are everywhere- I have been scrapbooking with them lately! Such a cute and fun summer look. Now that is the best---probably because your shorts are modern & perfect too!! You are killin' it with these summer looks! Love the flamingo! So cute and summer perfect! Super cute t shirt! I love flamingos! 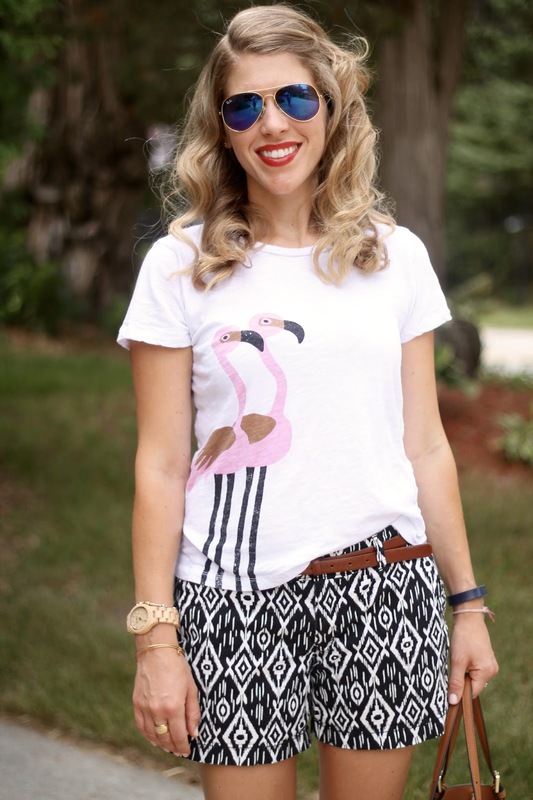 SO in love with the flamingo tee! I love the tee!! That is so cute and how styled it, perfect for summer. Love this tee! I was just looking for a cute graphic tee to bring with me on vacation.